Photo Courtesy of Scottish Classic C.C. 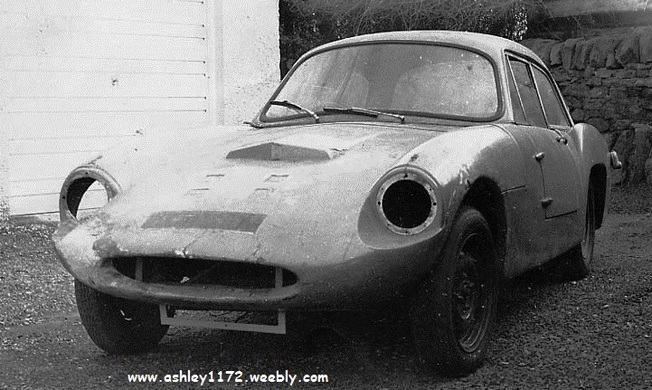 Before starting this Ashley Story I must apologise to Richard Rojek for not completing his story long ago. I stumbled on your website last night when looking for information on an Ashley 1172 I have owned for over 30 years, I thought it may be of a little interest to you? Also you may be able to help me trace the history of it. I bought the car in Kirkaldy here in Scotland through an ad. in the Exchange and Mart. It was first registered in Essex in 1959, reg. number 8840 EV with a replacement registration book (so there was no real history to speak of). The ladder chassis No S20A was made by Fairthorpe and is apart from a slightly longer wheelbase identical to the Fairthorpe Zeta chassis, the chassis number is not one that correlates to any known Fairthorpe number which makes me think that it may be one of the missing chassis’s between the Regent and the Mark VI which was probably supplied by Fairthorpe to Ashley under contract. The axle, wheels, rear drums, and front discs are all Triumph TR3, steering is Triumph Herald rack and pinion and the engine and gearbox are 1500cc MGA. Going by the serial numbers, etc. I am fairly confident that the car was built using new parts only. After I stripped off all the paint, I discovered the body colour is red and the roof is cream, however I found under a few coats of paint the original colour appears to have been metallic blue/grey on the body only, the roof looks as if it has been replaced, apart from the colour it had filled holes for windscreen wipers whereas the wipers on the body were very professionally fitted. You mention in your article: “One particularly noteworthy Ashley, an 1172 hardtop, was WUV 19 used by the sales manager. 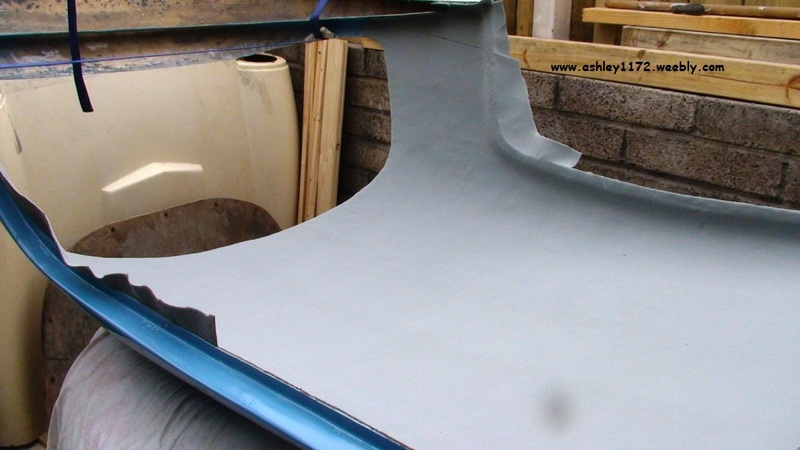 This had been finished to a very high standard with metallic blue paint”. There may be a connection, was my car built by one of the employees? 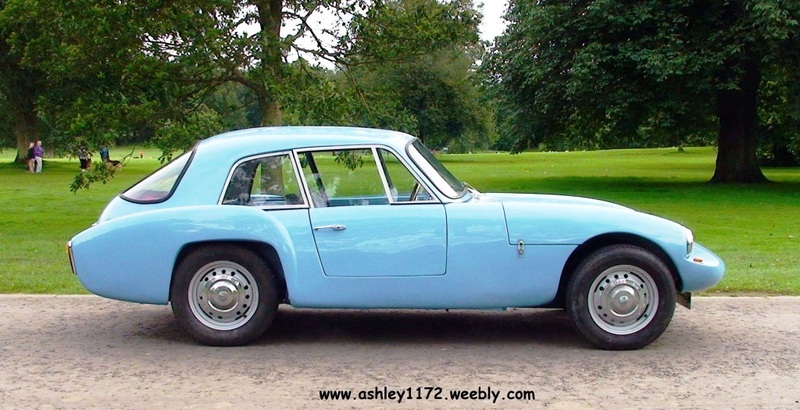 There is also mentioned in “The Amazing Sports Car Journal” by Jasper Wilkins (Peter Filby) who states “A good car was certainly a rarity, but one particularly nicely finished Ashley was built in 1959 with a tuned MGA 1600 c.c. 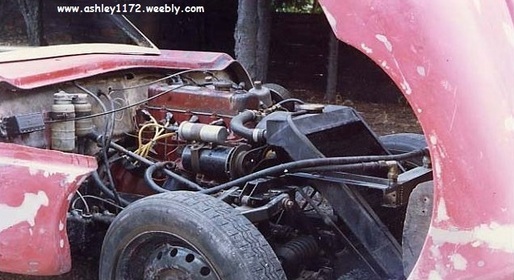 engine, was reputed to do over 130 m.p.h. 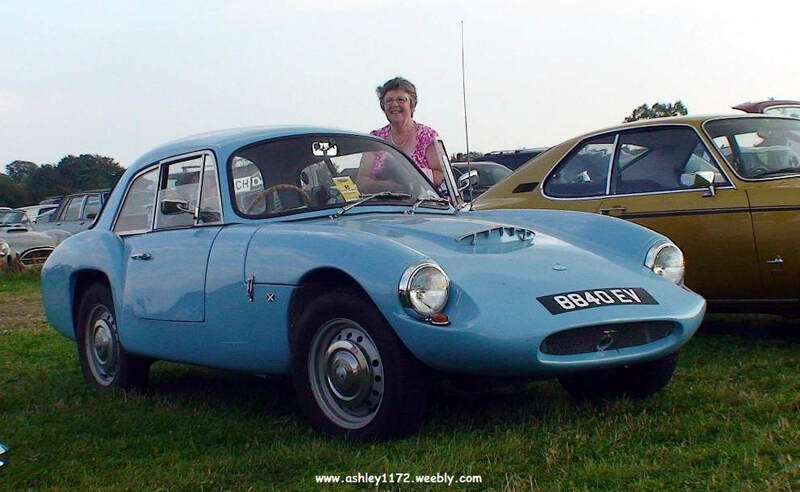 The driver must have been more than brave!” could there have been an error with the size of engine as there surely could not have 2 Ashley’s built in 1959 with MGA engines. When I removed the engine the tidy up the engine bay, I decided as it was out I would check the condition of the engine. 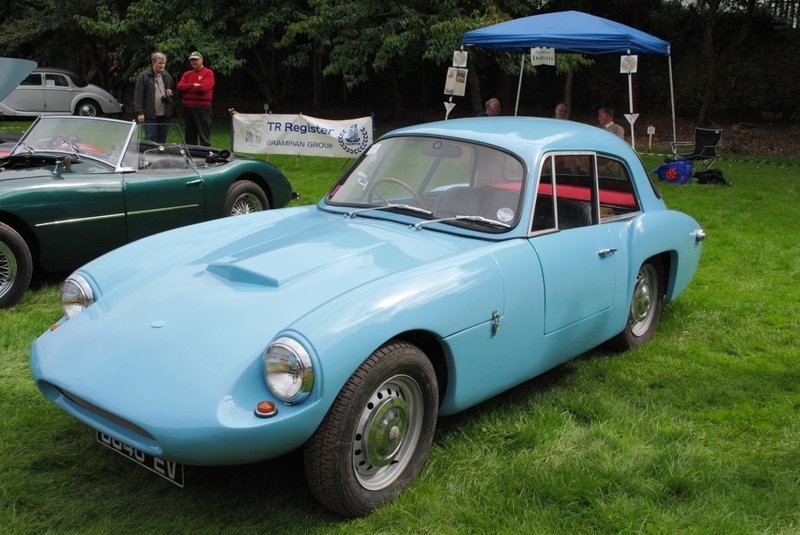 This was quite a revelation, the big ends and cylinders were standard with absolutely no wear whatsoever and in fact the bores still had the original honing marks on them. 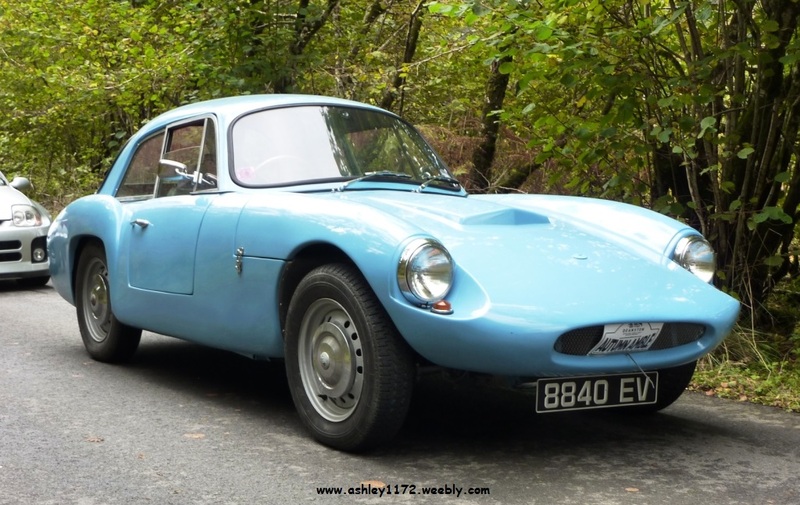 When I bought the car it came with a 1970 MOT certificate with the recorded mileage of 1,493, the condition of the bores would seem to confirm this. 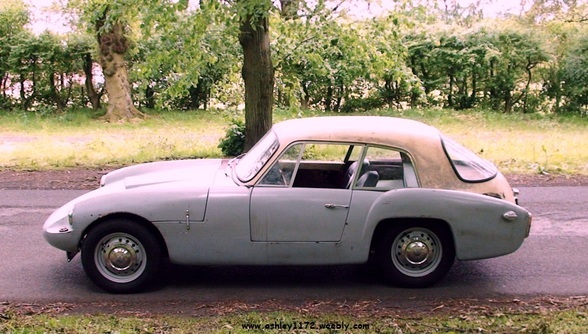 Taking the fact the car has done such a low mileage and the roof was replaced later for no apparent reason makes me think it may have originally been sold as a open four seater and may have been in storage for a number of years until a roof was fitted. One piece of information I managed to get from Essex Council was that it was first registered to S. J. Ayris, 6 St. Clair Close, Clayhill Ave. Ilford, I have written to the address with no response, in fact a few years ago when I was in London I went to the address, but no one was at home, however I did speak to an old gent who lived a couple of houses away, he remembered a young couple living there who always had “flashy” cars, he also thought the bloke had some involvement with a restaurant, other than that, this is all the information I have on the car. 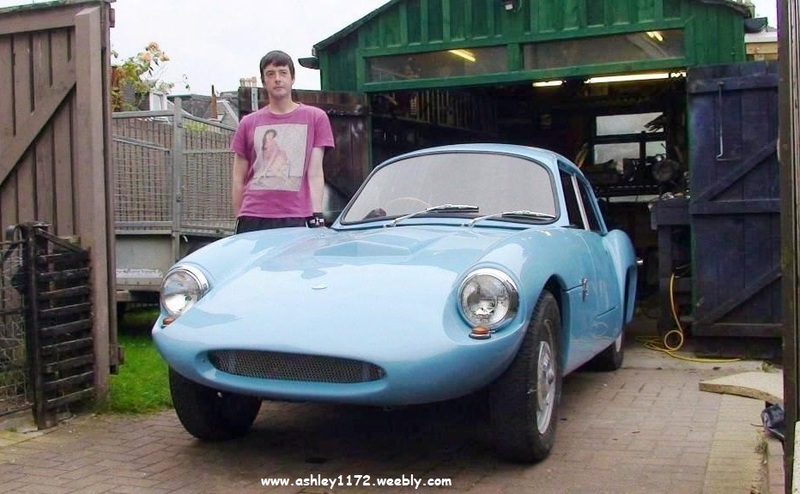 This is most likely to be just coincidence but in Your Photos page there is a photo of your car with 2 young ladies beside it, one is Sheila Ayres, a name very similar to the original registered owner of my Ashley, am I just being too optimistic there maybe a connection and Essex Council made a mistake with the names ??? I retire in a couple of months and hopefully I can spend time on the car and finally get it back on the road, I have enclosed a couple of images of the car including the b & w one which was more or less as I bought it, feel free to use them in your web site if you want. We exchanged a few emails and I eventually found a Stanley Aryis and Richard tracked down the location of the Ashley 1172 builders son Clifford, Stanley having died previously. We have kept in contact and Richard has sent me photo's during the restoration and after plus I have collected others from the internet. 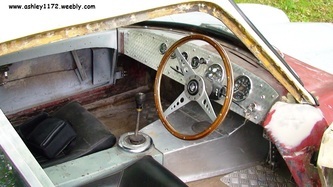 Yes, the windows are wind down which makes it more difficult for the restoration, The early Ashley's had them before changing to sliding ones. 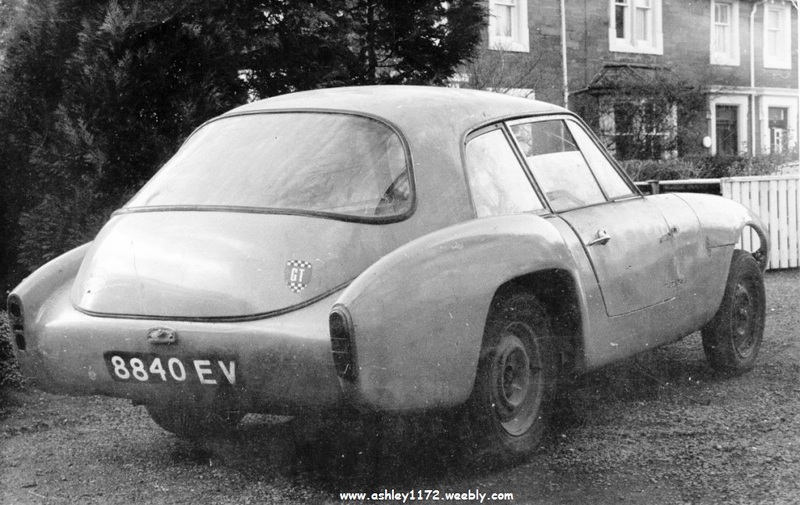 I have managed to gleam a little more information about my car, I have a photo of the Tony Bostock (he contributed to Car Mechanics in the 50s) Fairthorpe Zeta chassis which is identical to mine, also it was built at the same time as mine. 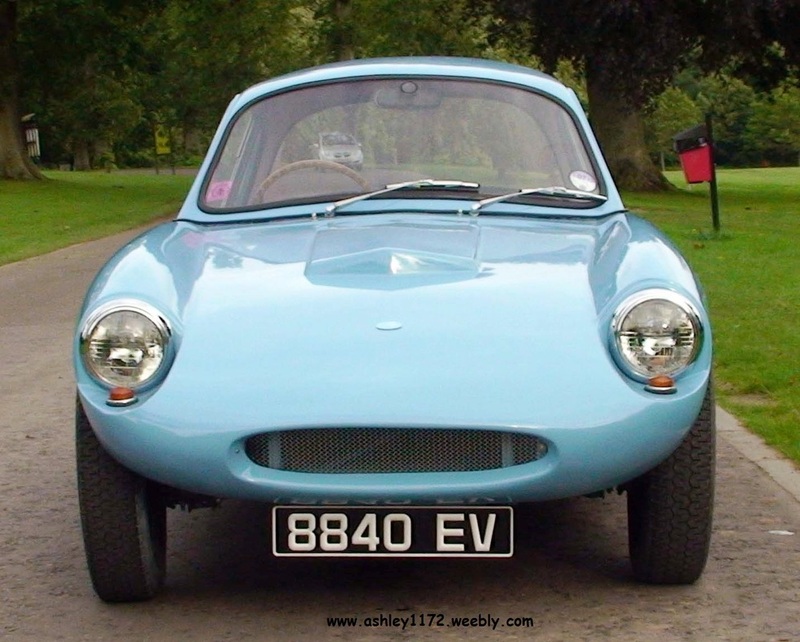 This means that my chassis is not a Regent or if it is, it was bought in from Fairthorpe by Ashley. 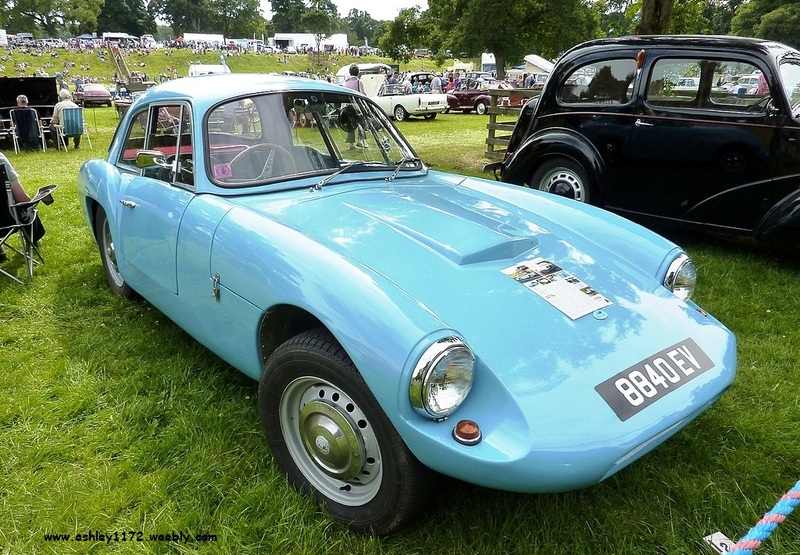 After contacting the DVLA, they issued me with a new log book changed from "self constructed" to Fairthorpe Zeta once I had submitted the relevant photographic proof and the car was inspected by one of their approved inspectors. The car passed it's MOT in May 2011 and I have been running it during the summer. I thought it was better to get it roadworthy rather than concentrating on the cosmetics as I was getting a bit fed up with the slow progress. There is still a lot to do, the gel coat on the roof and doors are all badly crazed which will have to be ground out and filled before painting. 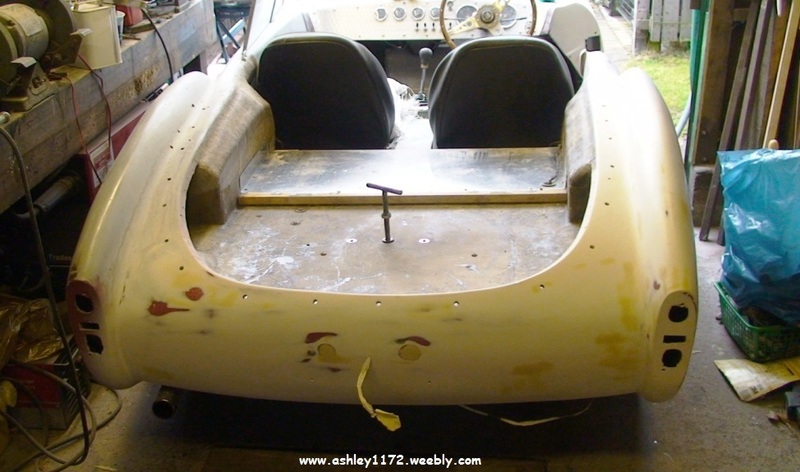 I am aiming to have the bodywork finished by September this year as I would like to go to the Goodwood Revival then and it would be nice to drive it there. The weather here is Baltic just now which stops me from working in the garage, so nothing will be done until it improves as the garage is too small to work in with the door shut, hopefully things will improve soon. 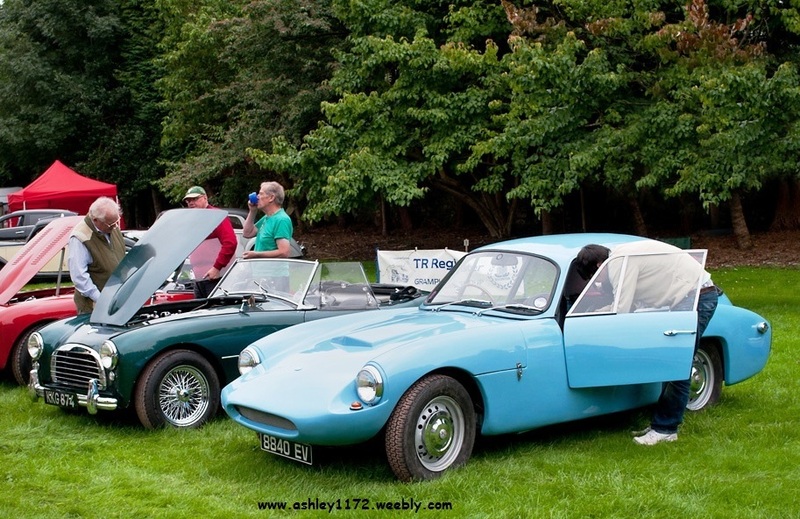 These 6 following photo's show the Ashley1172/Fairthorpe at the July 2011 Scottish Transport Extravaganza at Glamis Castle. 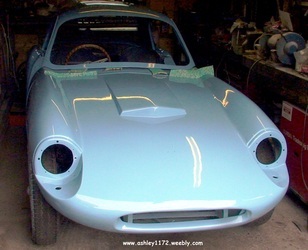 The following photo's show the Ashley1172/Fairthorpe after the bodyshell has been resprayed during the summer of 2012. The latest photo's I have of the car were at the July 2013 Scottish Transport Extravaganza at Glamis Castle. Richard enjoying his Ashley1172/Fairthorpe and his retirement. 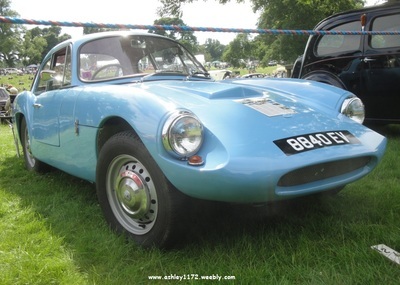 ​"my car at the Goodwood Revival this year"
​Richard's Ashley1172 was I imagine the only Ashley there, but it would have been in some very good classic car company. Hi there, just to update you on the above. 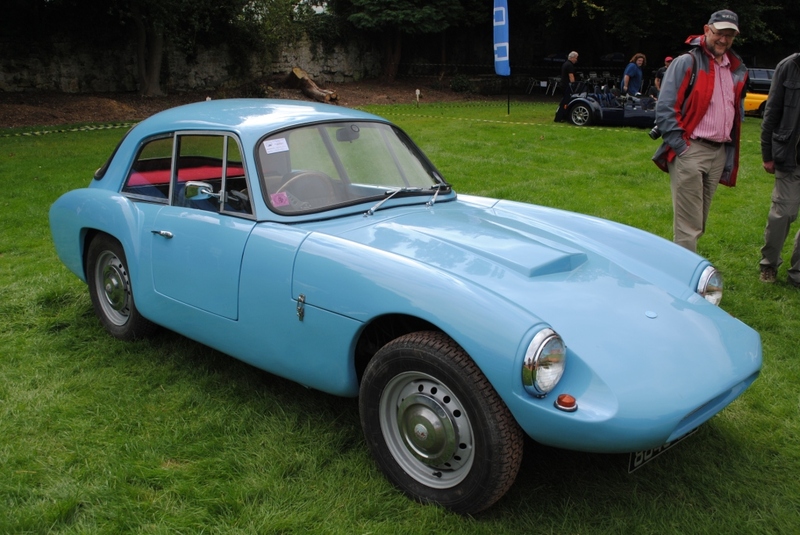 The previous owner, Richard Rojek, entered the car in to Morris Leslie's auction sale in Perth on 25th November 2017. The auction estimate was £8,000 - £10,000 but the car failed to sell. Classic Car Weekly had featured 8840 EV in their auction preview section and something about it grabbed my interest enough to contact the auctioneer post-sale to see if it had sold. Negotiation followed and I paid what seemed fair to me and an acceptable risk for an unseen purchase! Added to that was the £500 shipping fee ... I forgot to mention ... I live 500 miles away on the Isle of Wight! Transfer has all happened and the car now lives in my garage. 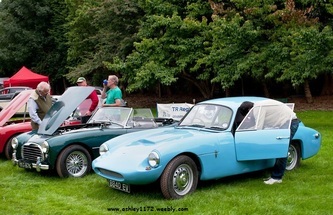 First impressions ... fab engine (MGA 1500), all the basics work as they should and yet there is enough to do keep me busy and engaged for a good few years to come. I've never seen another one of these in the flesh, so for the price of a similarly aged Midget or Sprite I get a whole load of exclusivity!